The 3D game converter will change 2D games that you have into a 3D one if he makes a game using the openGL graphics. 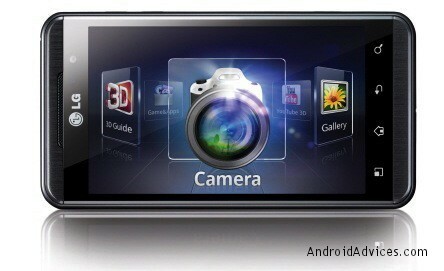 At IFA 2011, LG Electronics has demonstrated OpenGL the 2D to 3D game conversion engine for mobiles and smartphones. The 3D Game Converter is expected to open more doors to 3D gaming. The 3D Game converter would be included the LG Optimus 3D smartphone starting this October 2011 and the expected roll date would be determined by the mobile carrier. This would benefit both the game developers and smartphone users. So by this addition, small companies which offer 2D games would be able to provide 3D version of it and thus saving resources, cost or time or labour and on the other hand users of the mobile phone would be able to convert the 2D games into 3D anywhere anytime for no cost. Once the 3D Game Converter is installed, users can enjoy 3D on their previously purchased 2D games and the games can be switched back to the 2D easily. So how does 2D games are converted to 3D? When a mobile owner opens the 2D games through 3D game converter the software checks whether if its listed among the 2D mobile games suitable for 3D conversion. So if the game is optimized then it will be converted to 3D usage and visuals. And if its not listed then the games can be converted to 3D by doing manual settings.